Waiting to get my new Ruger CC model 31120. It will be at my FFL on Friday, and here in stupid California...10 days later to me. Planning on staying mostly stock, with maybe a trigger upgrade. My question is for the scope I purchased...I got a great deal on a Nikon Prostaff 5 4.5x18 SF MD. It seems to be about perfect for usability and magnification for my getting old eyes. I'm needing to get some rings to mount, and wondered if anyone has a similar setup for choosing the height of the rings. I like the idea of the Leupold QRW2 Medium, so I can easily swap out for a red dot if I want to. Good choice.. great rings for the purpose you intend..height should be good..
EDITED ; OOPS.. your base is good to go! Was on the look out for a deal to do the same thing with one I am just finishing up for a Buddy and found the Vortex Venom on sale at Dvor..
Last edited by Chaser; 02-25-2019 at 03:40 PM. Well, I got to examine my new Custom Competition model today at my FFL. It does have a nice carry box, and the fit and finish seemed to be good. Of course, I won't get to shoot it till 10 days from now, since CA seems to think I might use this gun unlawfully, over and above the 30+ other guns I already possess. Having read all the reviews here and elsewhere on the net, I will also follow up with my scope fitting and test firing of the new CC. I really hope it will be as accurate as many others guns have been and I encounter no problems. Question for experienced 10-22 owners, is it worthwhile to add a buffer I see mentioned in a lot of write-ups? Ruger Custom Competition is Grrrrrrrreat!! I have had a new Ruger CC for about three weeks and love it. The only upgrade I think I'll do is send the trigger to Brimstone for their magic. The neat thing about the CC is that it comes with a lot of upgrades. The mag release works real slick. 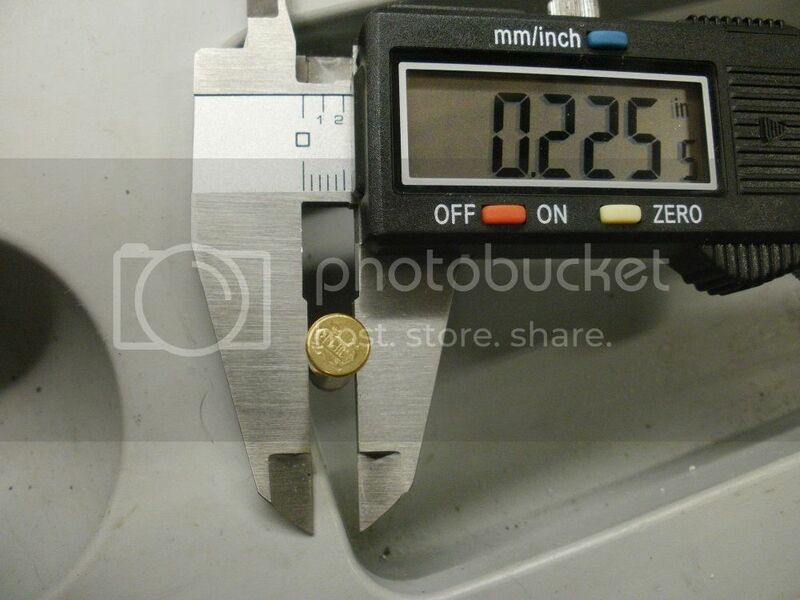 I have enjoyed increasing accuracy as I break it in and am testing different loads in it. So far, the CCI Mini Mag Target, CCI SV, CCI Mini Mag Solids, and the Federal Premium Target 40 gr. work the best. I am getting more groups at .5 inch or smaller. It would take spending a lot more money to buy a more accurate 10-22 box stock to best these groups. I am not as good a shooter as a lot of the people here on rimfire but am always trying to follow good advice. My friend also bought one of these rifles soon after I bought mine and the first thing I noticed was that his BX trigger has a better pull than mine. His has a slight take up , a definite wall and then a light break. Mine has a light break but is more unpredictable at the release. Brimstone can fix this. The only gripe I have with the gun is that it would shave a little lead stripe on the next round with the front edge of the bolt. I easily fixed it by using a Dremel with polishing compound to break the sharp edge at the lower front of the bolt and no more shaving occurs. My friend's rifle does not exhibit this problem at all. I think that unless you bought a Ruger Target, replaced the trigger, and sent it to CPC, you could not equal the accuracy and you still wouldn't have the upgrades that make it better. Sure, you can spend over a grand on a Kidd or Volquartsen, but you won't shrink your groups that much. Get the Ruger Competition and blaze away. Last edited by rodent shooter; 03-10-2019 at 09:36 AM. Hi JJ, I would advise the Warne QD rings as they are vertically split and won't impart any lateral stress on your scope tube and mark it up. I am currently running a Meuller APV 4.5 -14 x 40 AO with Warne medium rings and I have .244 in. between the objective and the barrel. All the above posted groups were at 50 yds. indoors. As soon as the weather gets better I want to see what it will do at 100 yds. Calif. 10 day is a travesty. Thanks very much for all the info. Your response is exactly what I was looking for. My last 10-22 was a 1970's vintage standard model which I ultimately sold in the late 70's to my Sergeant for his son's use. I later obtained a Ruger 77-22 which was a total blast and a great shooter, but again, I sold it, and of course regret that very much. Now retired after almost 30 years as an LEO here in this ultra liberal, commie state, I plan on spending a ton of time shooting to keep my skills up. I have a set of Leupold QW2 Medium rings and a set of Burris medium Signature Zee rings with offset inserts. I'm going to try both and see which gives me the easiest, adjustment centered scope mounting. I like the QW2's so I could easily swap on a red dot, but I think I will mostly be using this rifle as a scoped, 100 yard maximum rifle. I have a very nice Ruger Slabside 5.5" stainless pistol with a Burris red dot for close in plinking. Sure, you can spend over a grand on a Kidd or Volquartsen, but you won't shrink your groups that much. I think it is a very high value rifle. I hesitate to pound the table because I'm not looking for validation but I am very happy with my purchase. I want to stress that my review on the main forum was "out of the box", literally. I cleaned the barrel, put in 5 drops of oil and went to the range. I'll get tighter groups out of mine and I'll post the good with the bad. I'm going to clean and lube mine properly then take it back out to my range with a rest. Look for even my groups to shrink. I am a mediocre shooter so I feel pretty confident saying any average shooter should shoot MOA or very close to it out of the box. No need to send it off or buy anything else unless you just want to tinker and refine. Last edited by Bigbore; 03-05-2019 at 09:26 PM. Well, here's a report on my first outing with the new rifle. A very big disappointment I'm sad to say. I outfitted the rifle with a very nice 4.5x18 Nikon Pro Staff set in Burris Zee rings with a +20 insert on the front ring. The scope easily sighted in and with just a bit of elevation adjustment, and the windage was almost perfect as installed. I was getting what appear to be excellent groups, all at 1/2" or less at 50 yards, the max at my indoor range. All the testing was done with about 75 rounds of CCI SV lead RN ammo. The problem was that the rifle had so many FTF's and FTE's that I spent more time clearing jams than shooting it. I did not bother to photo any of the issues, as my range is quite busy and the lanes are not well suited to do a photo session. But I can say that all other members on this site who reported these same issues, my problems appeared to be the very same as the photos and stories they detailed. I had numerous FTE's which caused a difficult double feed jam, and about 15 rounds that shaved lead from the bullets very badly. There were many slivers of lead found in the receiver. I have some different brands of ammo to try, but since I read on here that one of the other members contacted Ruger and they stated, in essence, that the CCI SV ammo should work, I wanted to start with that. I came home and disassembled the rifle, cleaned it thoroughly, and examined the interior. BTW, I did clean/lube it before it was shot. It appears to me the extractor spring is very weak, and the tighter??? 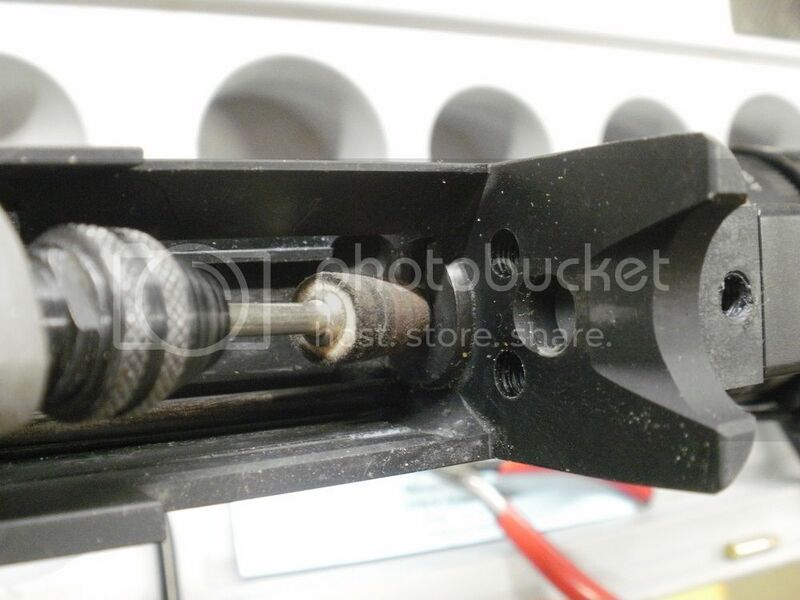 chamber can cause a loaded round to be just tight enough to FTE. Based on input from another member, I also used two different, new factory mags for testing. One was set at 4 turns of preload and the other stock at 8 turns. I tried this to see if the preload made a difference. It did seem to be helpful, the 4 turns mag having a bit less issues than the stock setting. 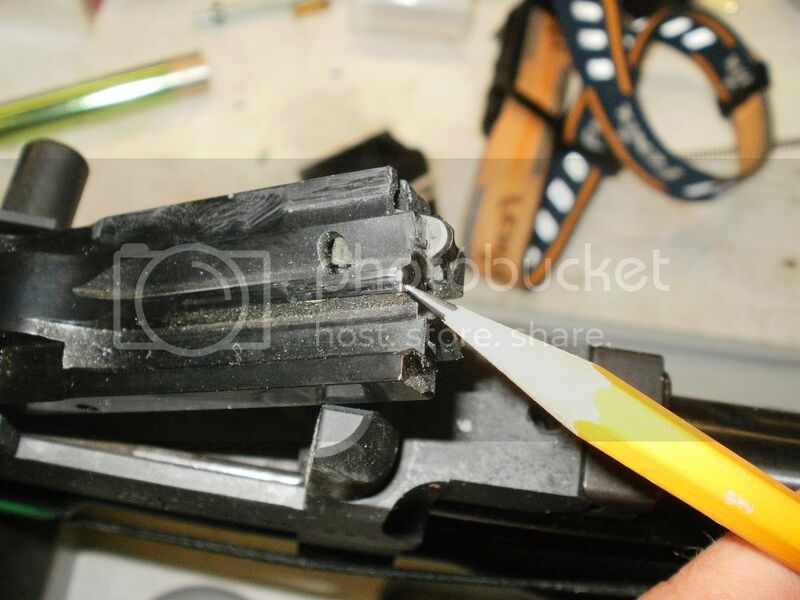 On close exam, it seems the shaving lead issue may be caused by the leading edge of the magazine ramp, and possibly the rim edge of the chamber as well. I polished the leading edge of the two mags I used with a Kratex Dremel bit, and will try the same two mags again when I shoot it next. I am going to try some different brands of ammo the next time I shoot and if I have the same results with another brand of ammo, the rifle is going back to Ruger and I will demand a refund. I don't want to spend my years in retirement trying to make a weapon work right. My '70's era standard over-the-counter Ruger 10-22 would shoot any ammo, never jammed, even when it was filthy dirty, and was a very accurate piece. The fit and finish on my rifle was good, the trigger felt very good stock, and FWIW, I set the stock mounting bolts at 25/25. I sure hope this will resolve itself, but sadly, I'm not expecting that to be the case. BTW, my serial # is CS2-00526, and the rifle came from Bud's gun shop. Sorry for the long post...I just wanted to update others who may be considering this as a purchase. I'm going to send a copy of this posting to Ruger as well. I cannot believe that Ruger would ship these rifles as a custom shop item without doing a reasonable test of each rifle before it leaves the factory. If there is a certain ammo required for the rifle to guarantee function, Ruger needs to SPECIFICALLY NOTE THAT in it's instructions and prior to sale. This is I believe, one of Ruger's most expensive items, and again, I'm shocked they put it out without fully testing/clearing these issues first. JJ, I dunno if this helps but in all my guns, be it pistol or rifle, I always polish the extractors and firing pins--I do too the extractor springs (deburr the ends and polish)...But don't deburr the extractor's sharp claw please. Even my KIDD bolt's extractors, plungers, and springs had the same treatment--looks much nicer too, lol! My BuckMark pistol (my 1st PB in the US) had the same inclination to do FTEs but quit doing it after I subjected it to this treatment. You would notice that post polish and lube, the movement of the of the said parts move ever so smoothly. Sounds just like the issues we have been discussing over in my review thread. I have to say I ran about 150 rounds of Federal Automatch and about 40 rounds of CCI AR Tactical through mine today and only had problens when using a BX25 mag and those were failure to loads. Once I stopped using the BX25 I had zero issues (I only used the mag once). I have not cleaned the rifle or done anything different since I last shot it with CCI SV and had problems. I'm going to continue to run the rifle and see if this problem sorts itself out before I send it back to Ruger. 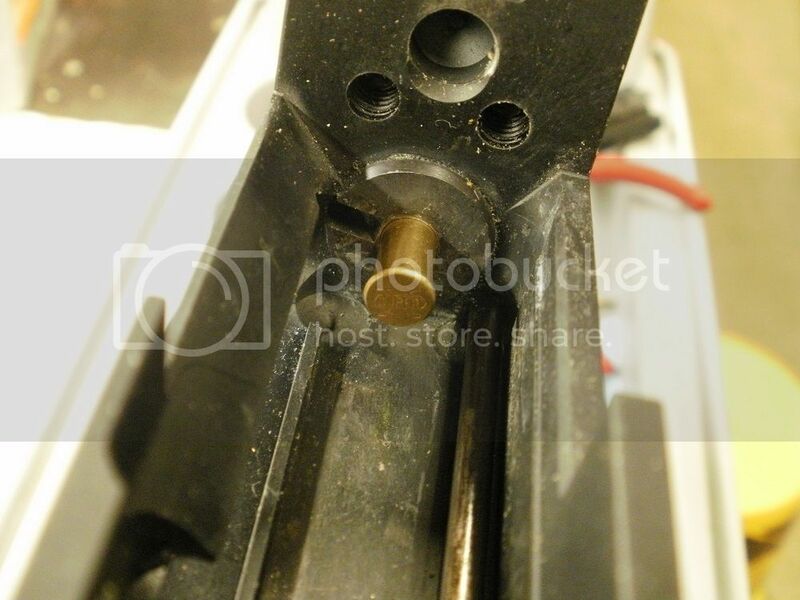 As for the failure to extract an unfired round I believe that is one downside to a tighter chamber. I'm afraid to send the rifle back as I don't want Ruger to open the chamber up in order to "fix" the failure to extracts. This is meant to help JJ and others who might be having trouble with feeding and extraction on the Ruger CC. The problems all seem to stem from the shaving of lead to me. 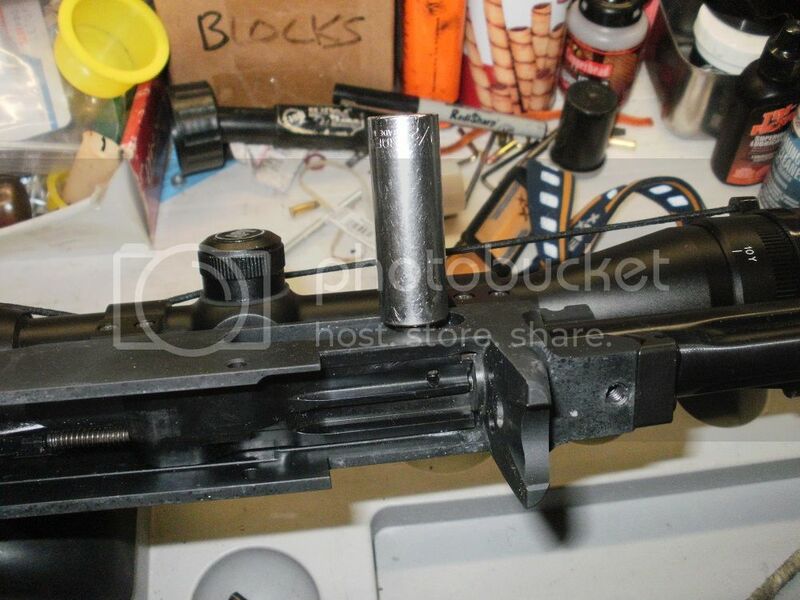 The bolt shaves the lead, then it gets smashed against the barrel face and that builds up enough to prevent the extractor claw from grabbing the rim or the firing pin doesn't strike deep enough then. After scraping off the lead on the breach face and then it would run O.K. for awhile and then back to it's old tricks. This next picture shows where I used a Dremel and jewlers rouge to take the sharp edge off - notice that it is very little removed. 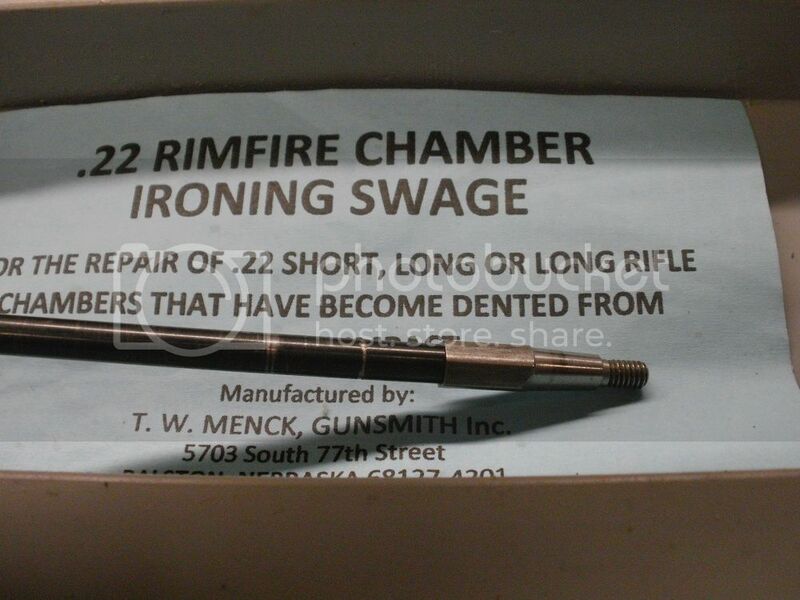 I also used a swage to take the "bite" out of the chamber mouth, again very conservative in it's use. I also softened the lower front edge of the chamber mouth where the lead was also being shaved- evident on the bullet tips at first taper. Cases that measure more than .224 in. will stick as this Winchester 555 bulk round is stuck. 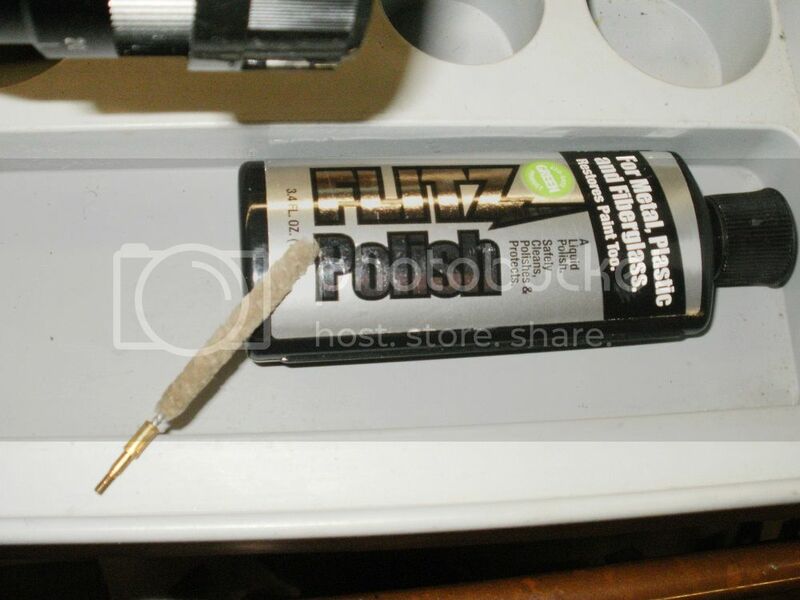 Here is the bore mop that I used the Flitz to polish the chamber with. After that I don't have any more feeding or ejecting problems. No FTF or FTE. Another help is that when you want to reinstall your bolt, use a 1/2" 1/4 drive socket to control the bolt handle and it is much easier. Sorry for the poor quality pics, my SLR took a dump and all I had was a pocket point and shoot to photo with. I wonder if anyone could recommend a better and easier photo management than the PhotoBucket that I use. I'm really not liking it. Cuss Cuss, watermarks. My friend got the same rifle a few weeks after mine and his chamber was just as tight and rough. Kinda reminds me of the Bentz chambers we all wanted back in the late 80's. Same issues although his bolt wasn't shaving lead off the next in line round. Feed a few manually and check the top round in the mag and you'll know. I'm waiting on my Brimstone BX trigger job and then it's back to shooting it. By the way , I also bought a Volquartsen Superlite and it's finicky on ammo also. Go figure , it's more than twice the money. I hope this helps some of you and don't give up, it's worth the effort. I just sped up the breaking in process . While you did a great job identifying and addressing some issues to get your rifle to run, it is a shame the rifle did not have the requisite attention from the factory. 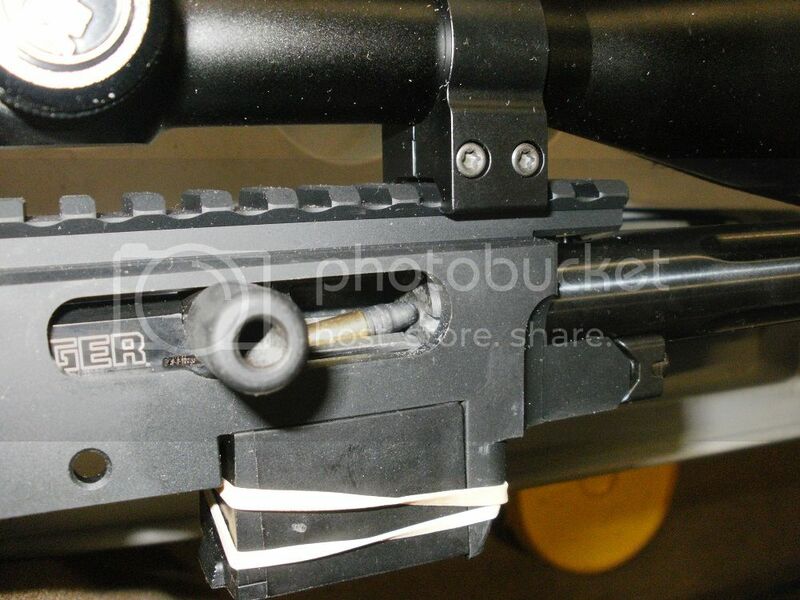 For a rifle that is the flagship of the ruger line, issues such as reported are inexcusable. I am not very mechanical inclined and don’t like to tinker at all, and would be less than enthusiastic about having to return the rifle to the factory for such glaring performance issues. I just recently got into precision 22 and my initial break in of a $250 savage has been less hassle and despite my poor bench technique was getting 3/4” 50 yard groups with cheap ammo. Going to do higher end ammo test tomorrow. I was considering the ruger custom for my next rifle, as I don’t think I could build a rifle for less, sadly it seems there are too many issues to depend on it out of the box. I would suggest everybody that is having an issue, feed and extract a few by hand to get a feel for the chamber. Mine seems to be smooth and I'm not plagued with feeding and extracting issues. I only use 10 round magazines and midrange to upper quality ammo . Last edited by Bigbore; 03-25-2019 at 04:52 PM. Rodent Shooter, glad to see someone with some good success with the feeding issues. I was all excited when this rifle came out and was very interested in buying one, but with all the issues everyone has been having, has made me hesitate. I use flickr and so far like it. No water marks.